Away from Indians? Then you're all right with this wallpaper from Ferm Living. 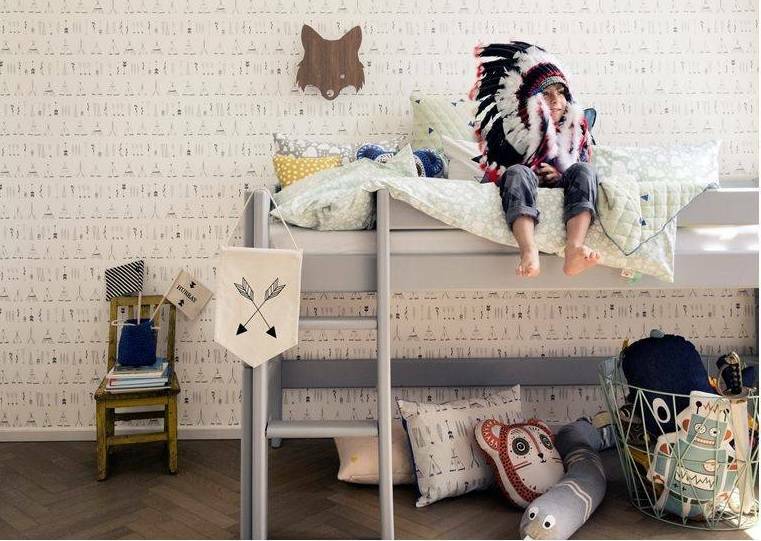 The wallpaper is part of the Wallmart wallpaper collection from Ferm Living. Hung with those beautiful woven wallpaper is fast and easy. This sturdy board with arrows and tepees is repeated every 0.53 meters.